Winnie the Pooh – Looking at the list, I think I might have gotten the order a bit mixed up. I thought for sure this came out before Tangled, but I guess not. Oh, well. 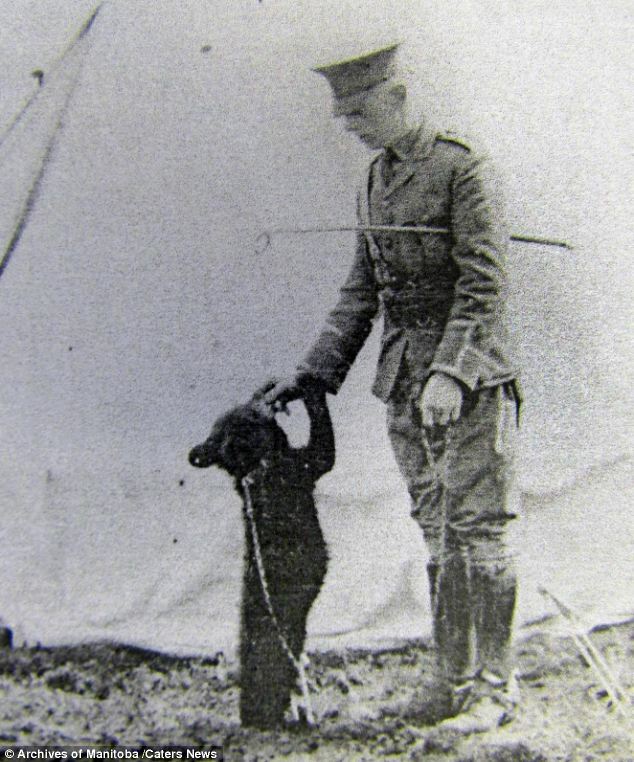 The Bear of Very Little Brain has actually been mentioned recently, as it was one hundred years ago this past Sunday that a Canadian soldier adopted an orphaned bear cub, whom he named Winnipeg after his hometown. He later brought the bear to England, where Christopher Robin Milne saw her in the London Zoo and named his teddy bear partially after the real bear’s nickname Winnie. He could have a girl’s name despite being a boy because he was Winnie-ther-Pooh. I’ve wondered for a while now if that was Christopher’s idea or his father’s play on gendered articles; “ther” is quite similar to the German masculine der. Anyway, Disney has adapted the Pooh franchise many times, using animation, puppets, and even live actors in costumes. There have been several animated Pooh films, although most of them were made by the lower-budget Toon Disney division. This 2011 release was the second produced by Walt Disney Animation Studios, and hence counts as the fifty-first movie in the Animated Classics series. As of now, it’s the last of the series to use traditional animation. Also, unlike a lot of Disney’s Pooh features, this one takes its main plot points from A.A. Milne’s original stories. Most of it is a combination of the one about Eeyore losing his tail with the one where the characters mistake a note from Christopher Robin as being about a creature called a Backson, although the bit about Pooh falling into a pit intended as a trap for something else comes from the Heffalump story. Even at a running time of about an hour (the official running time is a minute shorter than Dumbo, but still longer than Saludos Amigos), however, that leaves more for a lot of extra material. Some of it revolves around the characters’ attempts to find a replacement tail for Eeyore, which produces several gags. Pooh’s continual search for honey is also a constant in his stories. By the way, if Pooh is stuffed with fluff, as the theme song tells us and the animation makes clear, where does the honey GO when he eats it? There are a few jokes taken directly from Milne, like Pooh thinking Owl is sneezing when he says “issue”; but most of the humor is original. The sequence with the various plays on the word “knot” seemed quite vaudevillian, and it was clever that they recognized Owl could fly out of the pit but no one ever thought of it. It’s like Roger Rabbit said: he couldn’t get out at ANY time, only when it was funny. And who would have expected a Pooh feature to adapt a joke from The Simpsons? Okay, maybe it wasn’t original with that show either, but tell me that you didn’t think of the episode “Flaming Moe’s” when Pooh imagined that everyone was saying “honey” for every other word. 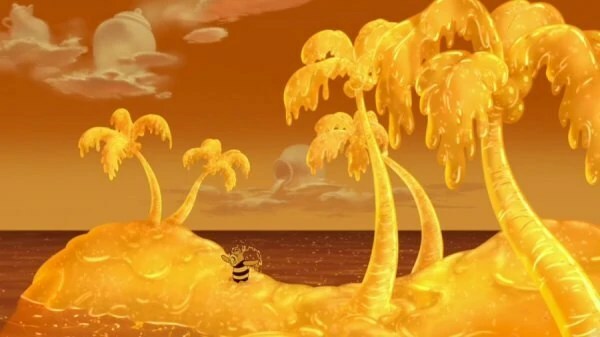 There are some fantasy sequences that allow experimentation with the animation: Pooh performing a Busby Berkeley routine in a giant honey pot, a bit looking like it was drawn with chalk during the Backson song, and the rough drawings of Rabbit being rewarded with money and girls for rescuing Pooh. The Backson resembles the My Pet Monster toys from the 1980s, and I think there’s a hint of Looney Tunes to him as well. In the post-credits sequence, he’s voiced by folksy television reporter Huell Howser, who died last year. I did find a few things a little off, like Pooh exposing Piglet to bees in an attempt to obtain honey, Rabbit hitting Pooh in frustration, and Roo referring to Piglet as “the pig”; but these were minor. And would honey really be a desirable prize to anyone but Pooh himself? Most of the voices were pretty good imitations of the originals, although Craig Ferguson’s Owl took some getting used to. And Christopher Robin was not only made more English, but was the only one to undergo a significant redesign. John Cleese appeared as the narrator, and in the grand tradition of Disney’s Pooh, frequently interacts with the characters, often prodding Pooh into moving the plot along. Along the same lines, there’s a sequence where the characters use the text to escape a pit. Interestingly, Disney’s original character Gopher didn’t appear at all, but I don’t think he would have added anything anyway. There’s a new semi-character in the form of an extremely resilient red balloon that everyone treats like a living thing, and while balloons do show up in a few of Milne’s Pooh stories, I have to wonder what the purpose of this one really was. As a fan of Zooey Deschanel’s musical career, I appreciate that she sang a few songs. In general, it very much called to mind the earliest Disney Pooh cartoons, and that’s certainly not a bad thing. From what I recall, it didn’t last at the box office for that long, although that was partially because of bad timing. It came out the same weekend as Harry Potter and the Deathly Hallows, Part 2. Hopefully it’s performed better on video. By the way, the disc we received from Netflix was terribly scratched. What do people DO with those DVDs? This entry was posted in Cartoons, Music, Revisiting Disney, VoVat Goes to the Movies, Winnie-the-Pooh and tagged a.a. milne, backson, bears, christopher robin, craig ferguson, eeyore, huell howser, john cleese, owl, piglet, roo, winnie the pooh (2011), zooey deschanel. Bookmark the permalink.